The Master in City & Technology (MaCT) is a unique programme which is orientated towards redefining the practice of urban planning & design through data science, computational design, and citizen design science. Taking place in Barcelona, the capital of urbanism, the MaCT is training change makers that city administrations, governments, industries, and communities need, in order to develop projects for the transformation of our cities in the era of big data. Admission Urban Planners, Urban Designers, Architects, Engineers, Economists, Computer Scientists, Data Scientists, Entrepreneurs, Social & Environmental Scientists. Urban Planners, Urban Designers, Architects, Engineers, Economists, Computer Scientists, Data Scientists, Entrepreneurs, Social & Environmental Scientists. 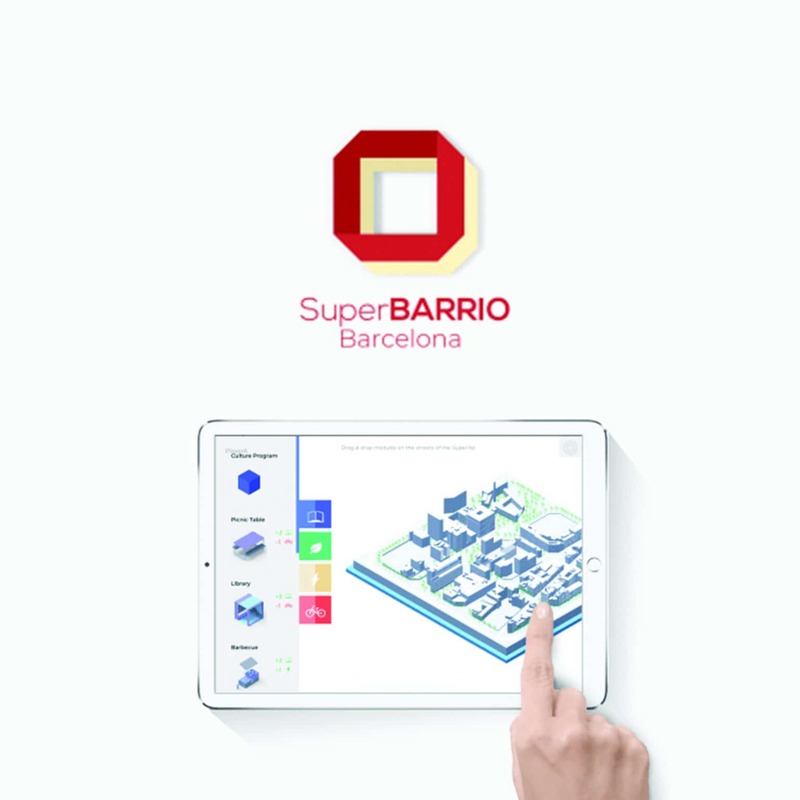 SuperBARRIO is a tool for architects, urban planners and public entities to engage the citizens in the design of the public space, to collect data about the citizens’ needs & desires. SuperBARRIO uses gamification strategies to engage the citizens in the design of the public space. As an open-source online tool, SuperBARRIO widens the potential audience of participatory design processes, overcoming the limits of conventional methodologies. The first case study was the Superblock of Barcelona. Known in Catalan as Superilla Pilot, it represents the pilot project of a wider urban regeneration plan led by the Agencia de Ecologia Urbana de Barcelona within the Urban Mobility Plan of Barcelona 2013-2018. 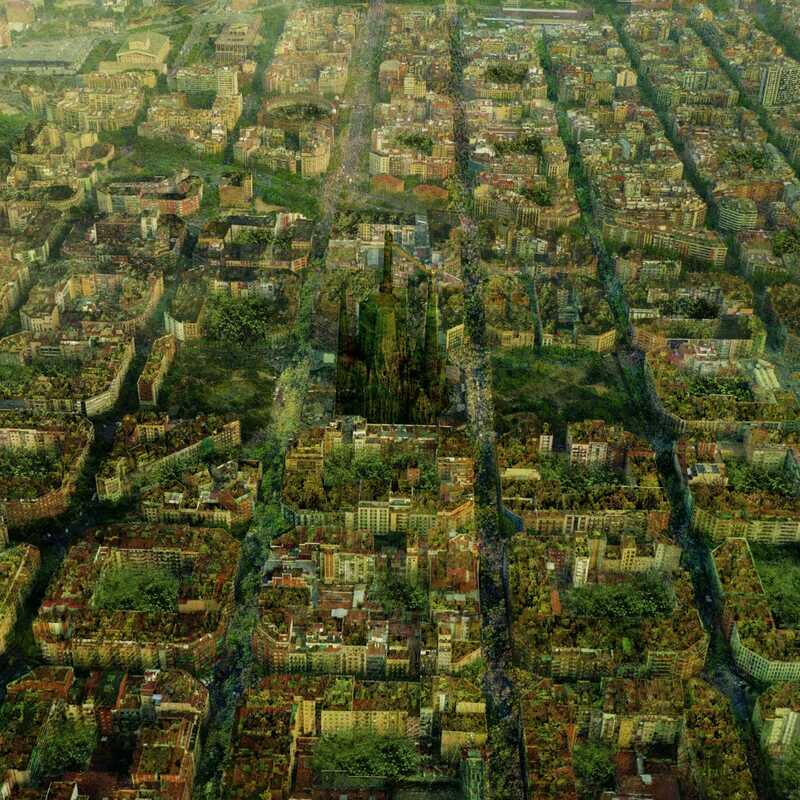 What would your city look like if it was completely covered in green? What would the impact be on the urban environment and the life of its citizens? How much would it cost to maintain it? Could we use it as an energy generating infrastructure? The Green Dip workshop, a collaborative effort between IAAC’s MaCT and The Why Factory. During this intense 7 day workshop the MaCT researchers, with the valuable guidance of The Why Factory, produced visions of 7 cities that have been completely enveloped in green. For each of these cities the MaCT researchers made challenging calculations related to the cost and benefits of nature based solutions, collecting data related to each city and each plant such as energy production, soil retention, water needs, maintenance cost, CO2 absorption, oxygen production etc. In an effort to understand the significant role of technology in the formation of the future urban environments, the Master in City & Technology addresses the question of how to implement Information and Communication Technologies (ICT) in different layers of the urban environment by continuing the urban research carried out by IAAC in the fields of Internet of Things & Internet of Energy, Smart Cities & Smart Buildings, Big Data Analytics, Eco and Productive Neighborhoods & Digital Fabrication. The MaCT focuses its research on the topics of the Internet of Cities, the Internet of Buildings and the Internet of People and the development of all the necessary processes and tools that will transform our cities, surrounding regions and rural areas into open, sustainable and user-driven eco-systems. Each year, the programme aims to create new categories of projects, technologies, and solutions that can be extended systematically to the cities of the world, with the aim of creating applied visions of more sustainable, resilient, inclusive and responsive urban environments. The candidates will be introduced to a large variety of technological tools and software that are imperative for the multi-scalar representation and understanding of the urban environment. From Big Data analytics to coding, to 3D modelling, to data visualization, to simulations, to parametricism & Geographical Information Systems (GIS), students will be called to learn all of the necessary tools that will allow them to develop groundbreaking urban technologies and designs. The MaCT’s academic structure is based on IAAC’s innovative, learn-by-doing and design-through-research methodology which focuses on the development of interdisciplinary skills. During the MaCT students will have the opportunity to be part of a highly international group, including faculty members, researchers, and lecturers, in which they are encouraged to develop collective decision-making processes and materialize their project ideas. In this way, IAAC has put together an experimental learning environment which equips professionals with both the theoretical and practical knowledge needed to face the increasing complexity of the contemporary urban environment and to define the future of urbanism. The 12-week Fall Term is a formative platform structured by a Design Studio and five complementary obligatory Seminars anticipating ideas that will appear during the programme in relation to ICTs for cities, new tools for city analysis, Open Innovation, design strategies, innovative forms of planning and contemporary culture. A toolbox of both, theoretical and practical skills for further research work. NOTE: Research Studio and Seminars of Term 1 are obligatory. The 11-week Winter Term is structured by one Design Studio and five complementary obligatory Seminars continuing with the development of technical skills in data analytics and computation as well as introducing new categories of projects for the design of buildings, the infrastructures of services, the user interaction and the technologies of information. NOTE: Design Studio and Seminars of Term 2 are obligatory. 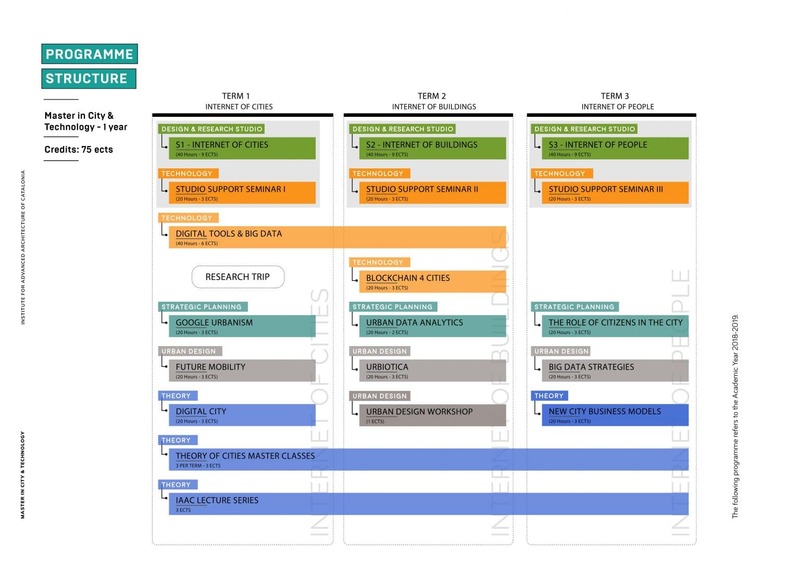 The 12-week Spring Term is structured by one Design Studio and four complementary obligatory Seminars introducing new processes and tools on how citizens can be involved in the development of sustainable, open and user-driven innovation ecosystems. NOTE: Pilot Project Thesis and Seminars of Term 3 are obligatory. The first year of the MaCT02 is the same for both programmes and has a structure of 3 terms of 3 months each. The MaCT01 is a 9-month programme and offers 75 ECTS while the MaCT02 is an 18-month programme which offers 120 ECTS credits. The MaCT02 differs from the MaCT01 in the second year. During the second year of the MaCT02 programme, students will have the opportunity to work under the guidance of permanent IAAC faculty as well as external guest tutors, on an individual thesis focused on the development of a pilot project, allowing them to fully engage with both the theoretical and practical aspects of the project. The Individual Thesis Project is based on the MaCT Research and Development studio agenda is comprised by 4 Research Lines defined by IAAC as well as seminars that will be supporting the project development and amplifying their knowledge of urban technologies by allowing them to integrate these in the development of holistic projects which explore the social, economic and environmental benefits of technologies. Lectures and workshops are also part of the thesis year. 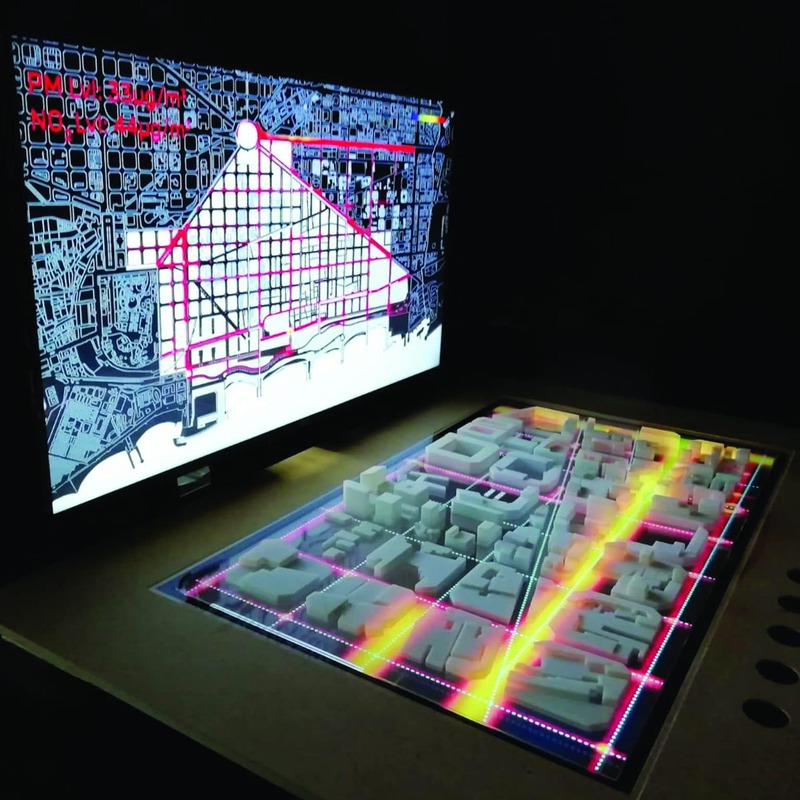 The individual thesis, or pilot project, will allow the students to gain in-depth knowledge on elaborating disruptive urban proposals that use technology to improve citizens’ quality of life. Additionally, through the development of the individual thesis based on a real case study, students will have the opportunity to collaborate with industrial and administrative representatives, among the collaborative entities of the MaCT programme, giving the students the necessary support and knowledge to develop solutions for the real world. During the development of their individual Thesis project, selected MaCT 02 students, will have the possibility of participating in European Research Funded Projects developed by the Advanced Architecture Group. 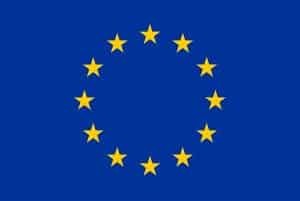 This experience will contribute to the content of their thesis, as well as the expansion of the students’ network by giving them the possibility to work on real pilot projects on European and selected non-European cities. The second term of the second year is structured by the Thesis Studio and three seminars focused on two main parts of a thesis research: theory and practice in different scales of investigation. All classes in this term are mandatory. This term is structured by the Research and Development Studio and Seminars focused on the practice of the investigation itself. In this term, the students are finalizing their proposal and constructing prototypes of their thesis projects. All classes in this term are mandatory. as well as graduates related with the transformation and management of our cities and technologies of information. Once successfully finished, IAAC students will then join the IAAC Alumni Community, an active and dynamic network of visionary professionals spread around the world, promoting principles and applications of Advanced Architecture and exploring new academic and research initiatives, leading to award-winning practices or working for internationally acclaimed firms and institutions. During the application process, those candidates who do not have an academic background in design (such as data science, economics, engineering, management, etc), will not be required to submit a portfolio, but it is strongly recommended to attach samples of previous projects and research developed in relation to cities. There is currently a lack of professionals who are capable of leading projects where the aim is to transform our cities from the 20th-Century production and distribution model to the 21st-Century paradigms. The MaCT programme aims to create future professionals who will be able to lead projects in both the public and private sector that focus on Urban Planning, Smart Buildings, Big Data Analytics & Visualization, Urban ICT, Mobility & Transportation Analysis, Mobility Micro & Macro Simulations, and GIS software. The theme of the scholarship offered by the Master in City and Technology (MaCT) programme is focused on Big Data Urbanism: Big data has become an essential tool for the understanding of our cities and the generation of accurate decision-making processes for their transformation. 1. Visualize a city’s layers (i.e mobility & transportation, vegetation, road network, waste management infrastructure, energy consumption/generation, housing, tourism, economic activities etc.) through the use of maps and charts. 2. 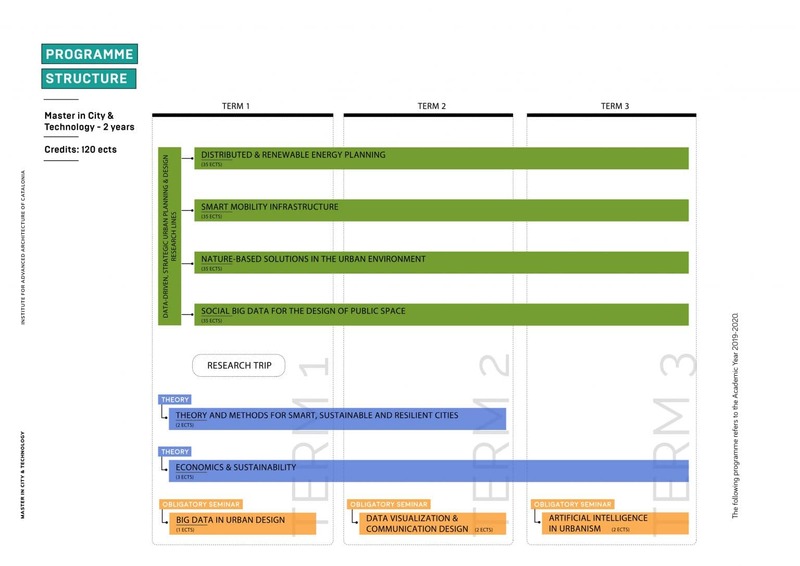 Create a strategy which informs an urban planning/design proposal for the transformation of a city. The Master in City & Technology programme represents an effort of facilitating the exchange of knowledge and the mutual learning of urban experiences among cities. 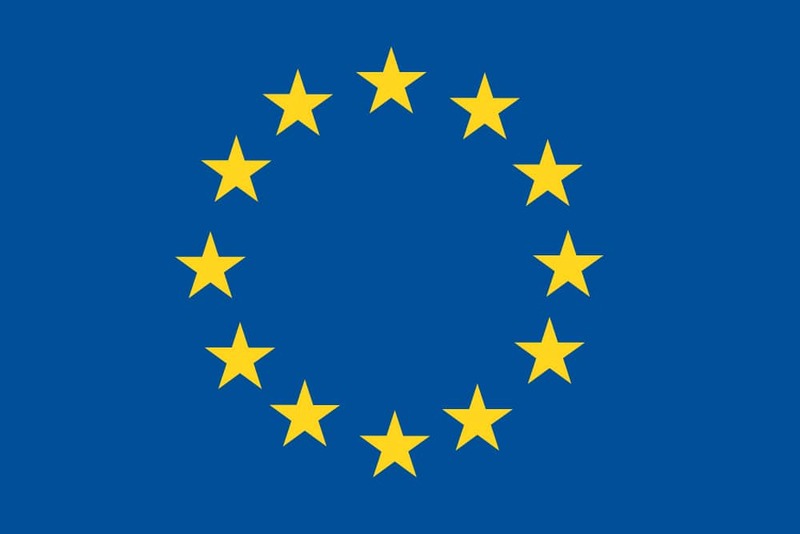 Barcelona is considered to be at the forefront for urban strategic planning, awarded the European Capital of Innovation (“iCapital”) prize “for introducing the use of new technologies to bring the city closer to citizens” by the European Commission. Hence the MaCT proposes to learn not only from the experiences of Barcelona, thanks to a solid collaboration with the urban government but also from practice-based experiences through the direct collaboration with professionals in the fields of design (public space, buildings, service infrastructure, user interaction), technologies of information, social sciences, participatory processes and economics, finally applying this content to real case studies. The Why Factory (T?F) is a global think-tank and research institute, run by MVRDV and Delft University of Technology and led by professor Winy Maas. It explores possibilities for the development of our cities by focusing on the production of models and visualisations for cities of the future. Education and research of The Why Factory are combined in a research lab and platform that aims to analyse, theorise and construct future cities. The Why Factory investigates the given world and produces future scenarios beyond it; from universal to specific and global to local. It proposes, constructs and envisions hypothetical societies and cities; from science to fiction and vice versa. The Why Factory thus acts as a future world scenario making machinery. 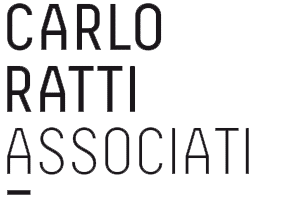 Carlo Ratti Associati is a rapidly growing architectural practice based in Turin, Italy, with branches in Boston and London. Drawing on Carlo Ratti’s research at the Massachusetts Institute of Technology, the office is currently involved in many projects across the globe. Embracing every scale of intervention, ranging from city masterplans to furniture design, the work of the practice focuses on revolutionizing the use of digital technologies in our built environment and daily lives. Foster + Partners understands that the best design comes from a completely integrated approach from conception to completion. We have a strong creative team, in which structural and environmental engineers work alongside the architects from the beginning of the design process. By doing so, we believe that they can learn from one another and combine their knowledge to devise wholly integrated design solutions. The design teams are supported by numerous in-house disciplines, ensuring that we have the knowledge base to create buildings that are environmentally sustainable and uplifting to use. Mobility In Chain is an international transport planning firm founded in 2009 by Davide Boazzi, Federico Cassani and Federico Parolotto who decided to open a new firm after 10 years of experience in the field. The MIC team is strongly focused on international work, providing transport consultancy to developers, master planners and public bodies all around the world. MIC introduces a new innovative and sustainable vision for mobility, a vision that is based upon understanding the need of the client and focused on both functional matters and urban quality. inAtlas is a Big Data and Location Analytics company that offers strategic business solutions. It has created a proprietary technology that increases the speed of geospatial data processing. Since 2010, it has designed and developed customized tools for private companies like Heineken, Northgate, Prisa Radio, Informa D&B, among others; and public governments like those of the Barcelona City or Santa Cruz de Tenerife City. Rapid urbanization across the globe has a direct impact on our future mobility needs. 75% of the infrastructure needed for urban environments by 2050 is not built yet, which offers substantial potential for new business models and ideas. 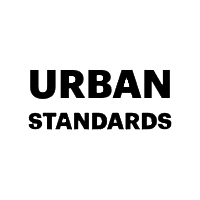 Urban Standards is a specialist in finding new ways of value creation through the systemic integration of technologies, services and partners in the urban real estate. We develop and assess solutions for mobility/transport service providers, real estate developers, and cities that match future needs and create new user experiences. Mcrit” stands for “Multicriteria”, the evaluation method that integrates multiple quantitative and qualitative criteria. MCRIT counts on a multidisciplinary staff of consultants specialized on strategic, urban and regional development, with a particular focus on infrastructure and transportation planning. To support these work activities, MCRIT develops advanced information, forecast, evaluation and communication systems. The Audi Urban Future Initiative is a multifaceted effort rooted in the belief that mobility challenges are best addressed in a collective and interdisciplinary context. Established in 2010, the initiative comprises several components: the Audi Urban Future Award, an invited ideas competition that aims to stimulate new visions for cities and urban mobility; research collaborations with academic and cultural institutions worldwide; interactive events and workshops that bring together experts from many fields; and an internal, interdepartmental think tank dedicated to issues of urban mobility. Mcrit stands for “Multicriteria”, the evaluation method that integrates multiple quantitative and qualitative criteria. MCRIT counts on a multidisciplinary staff of consultants specialised on strategic, urban and regional development, with a particular focus on infrastructure and transportation planning. To support these work activities, MCRIT develops advanced information, forecast, evaluation and communication systems. Agencia de Ecologia Urbana de Barcelona implements projects aimed at domestic and international public institutions, foundations, organisations and companies by applying a systemic approach for reorienting the management of cities towards a more sustainable model, contributing solutions for mobility, energy, waste, urban planning, water, biodiversity and social cohesion. At the completion of the programme, the coordinator will inform the students regarding the application process. URBiNAT | Urban Innovative and Inclusive Nature focuses on the regeneration and integration of deprived districts in urban development through innovative Nature-Based Solutions (NBS) – an Urban Inclusive Nature – ensuring sustainability and mobilising driving forces for social cohesion; specifically, on “public space” and on creation of new urban, social and nature relations with and between different neighbourhoods. Creative Food Cycles enhances innovative and creative practices between food, architecture, and conviviality in a transnational and European perspective. New devices and rituals in urban food production, distribution, consumption, and disposition are designed and implemented, for extended and training and audience development, fostering the exchange of ideas and creatives in Europe. The approach merges new ways of design and digital interaction in a transdisciplinary way, exploring cultural, social, and economic innovations accelerated through the activities. The Knowledge Alliance for Advanced Urbanism (KAAU), aimed to develop an educational and training platform, in partnership with HEIs and well-established industrial partners and companies. The objective of this platform is to offer participants the possibility to engage in a semi-professional environment, developing projects with the support and expertise of institutions that are commercially involved in their field of expertise. In this manner, it provides a potential jumping platform into future professional opportunities, while offering companies a fresh R+D environment where to propose new design challenges and applications. IAAC, in partnership with the Centre for Central European Architecture in Prague and the University of Applied Arts Vienna, is coordinating the project Active Public Space, launched within the framework of the Creative Europe Programme.Europe’s towns and cities today face major challenges: demographic change and its implications for urban sprawl, environmental issues and climate change mitigation, maintaining social cohesion and the protection and development of architectural and cultural heritage.